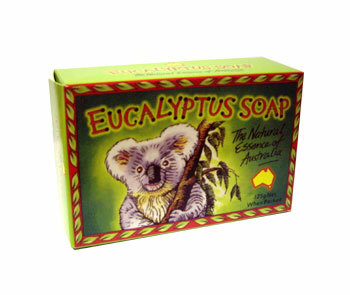 This special soap contains eucalyptus oil, known for its medicinal properties. It contributes to a feeling of skin freshness and cleanliness. The unique eucalyptus frangrance, the aroma of the Australian bush, is distinctive and pleasant. Each bar comes in an individual box.